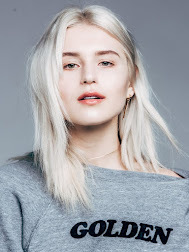 Rima Vaidila is a young, Los Angeles-based freelance creative director, stylist, blogger and digital consultant. Getting her start in the industry as a model at 17, Rima now has an extensive network of brands, photographers, editors, bloggers, showrooms, model agencies and pr professionals she works with. Rima's business-marketing background, recognizable aesthetic and strong social media presence, gives her the insight and expertise to connect with consumers. Able to sell a product, experience and lifestyle by playing into customers physical and aspirational needs. It's all in the details. Be it the slightest turn of the models' wrist, adjusting the shoulder of leather jacket to create a more flattering line or the most "like-able" crop for an instagram post, Rima gets it. Although she follows a "less is more" mentality, more is more when it comes to creative opportunities; Rima is always looking to connect and collaborate with like-minded brands and individuals. Please get in touch. Rima currently lives and works plays in Los Angeles, California.